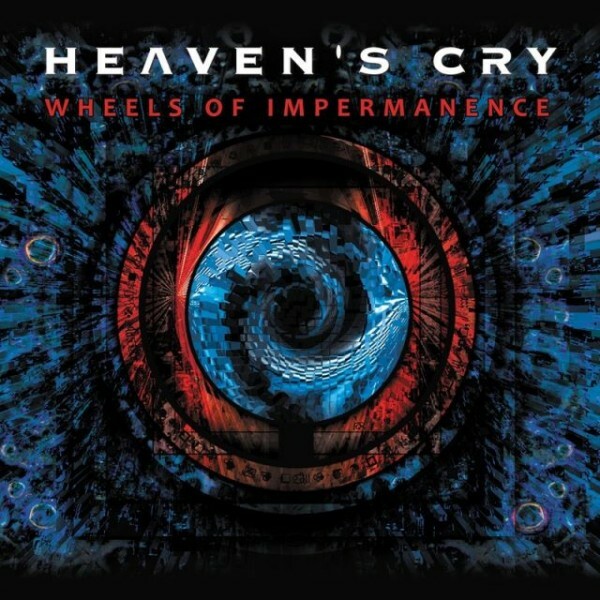 On Wheels of Impermanence, Canadian progressive power metal outfit Heaven’s Cry unleash their third album on the world. Or maybe tepidly push it in the world’s general direction would be a better description. Wheels isn’t a bad album by any means, but it fails to accomplish anything besides inciting some light head bobbing and toe tapping. These Canucks know how to play their instruments and sing, but they fail to deliver any compelling material on this album. A few of the songs, like “The Mad Machine” and “Empire’s Doll”, seem like they have potential towards the beginning. Unfortunately, they never venture beyond chugging-guitar-part-bridge-chugging-guitar-part. Even the band’s double vocalist approach is boring – the singers sound almost identical. The only distinguishing difference is one sounds more angsty (or possibly constipated) than the other. With it’s saxophone/guitar interplay, slapped bass line and off-kilter time signatures, “Consequence” is the strongest track on Wheels. But one track does not an album save. Heaven’s Cry definitely exhibits promise, but I’d give these guys another 3 albums before checking back in.